The Nieuport Macchi company was founded by Giulio Macchi in 1912 in Varese, Italy. Their primary focus was designing and building airplanes. The company name was later shortened to Aermacchi. Aermacchi is an abbreviated combination of Aeronautica Macchi. “Aer Macchi” is italian and means “air machine”. It is spoken [aer’maki]. In 1951 Aermacchi began building motorbikes. In 1960, The Harley-Davidson Motor Company purchased a controlling interest (50%) in Aermacchi. Since there was not enough time to plan for production of a new model, the 1961 Sprint C model was simply an Aermacchi bike (which had already been in production at the time) sporting Harley-Davidson decals on the gas tank. The original plans called for the introduction of a motorcycle using an engine designed by Aermacchi to be mounted on a Sportster frame. Eventually, that plan was scrapped and a new design was used the following year for the 1962 Sprint C model, ushering in the Harley/Aermacchi era. The Harley Sprint enjoyed mild popularity in the showrooms, but excelled on the racetrack garnering many victories in several forms of motorcycle racing including scrambles, flat track racing, road racing, Grand Prix, and even managed a land speed world record at the famous Bonneville salt flats at the hands of George Roeder. 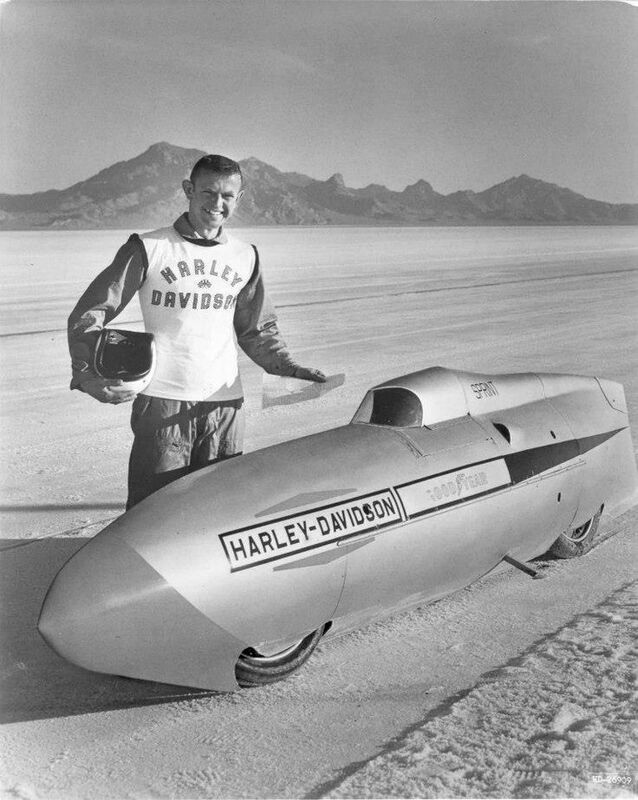 Roeder piloted a Harley-Davidson Sprint that ran with a single cylinder 250cc engine housed in a specially constructed streamliner chassis. He shattered Class A and C records with an amazing 177mph two-way average run. AMF Harley-Davidson purchased remaining holdings in 1974. The venerable Sprint would be followed by many other models, and though the Sprint’s last year was 1974, other models would continue to be built until 1978, when AMF Harley-Davidson ditched the “lightweight” business entirely and sold what was left of the Aermacchi line to Cagiva.